Pro-Arc was established in 1991 as Peekay Controls & Services. The core business back then was manufacturing of control panels and providing automation solutions to the automobile ancillary companies in Pune. In 1993 we started manufacturing welding machines and manual cutting machines. Pro-Arc was incorporated as a Private Limited company in 1996. We manufactured our first CNC profile cutting machine in the same year. 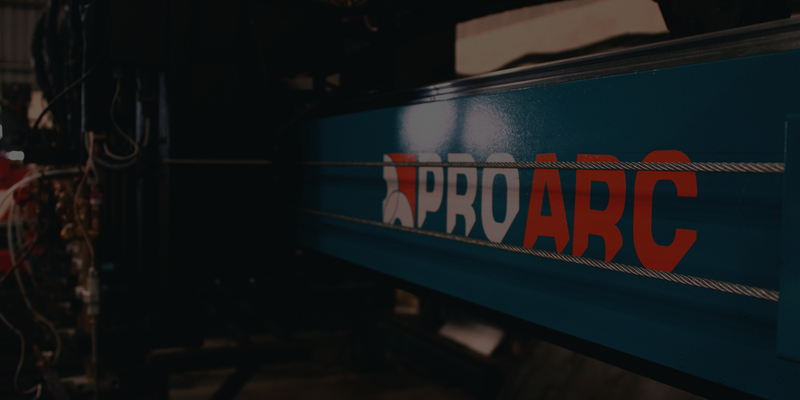 With over 25 years on manufacturing expertise, Pro-Arc is a reputed company in the field of welding and cutting in India. Pro-Arc has manufactured and supplied machine all across India and have also exported machines to USA, middle-East, Kazakhstan, Bangladesh and Myanmar. Our product range includes CNC oxy fuel cutting machine, CNC plasma cutting machine, CNC laser cutting machine, Laser welding machine, fume extraction systems, beveling solutions and numerous other automated machines for cutting and welding. Pro-Arc has manufacturing facility situated in Pune, a manufacturing hub located 160 kms. from Mumbai. It is easily accessible from Pune and Mumbai airports. Our facility has a covered shed area of 30,000 square feet with 8000 square feet office area. We have close to 100 employees with regional sales and service teams located in New Delhi, Faridabad, Kapurthala, Kolkata, Jamalpur, Indore, Bhopal, Ahmedabad, Vadodara, Mumbai, Bangalore, Chennai and Coimbatore. We have a strong engineering team ably supported by a qualified design and development team. Turnover of Rs. 1 billion by 2020 with double digit profitability. To provide higher brand value and become the preferred choice of customers in cutting automation solutions. Higher employee engagement levels along with their development. To become the global leaders in cutting automation by delivering made in India solutions and making our brand synonymous with differentiated service, engaged employees and happy investors. To conduct business fairly and maintain transparency in all interactions. Maintaining client confidentiality and adherence to regulatory guidelines and frameworks. Maintaining professionalism in business while being a dependable partner, creating better value in our solutions through meticulous understanding of the customers' needs.